Enjoy a hint of chocolate to start your day! How do you smoothie? 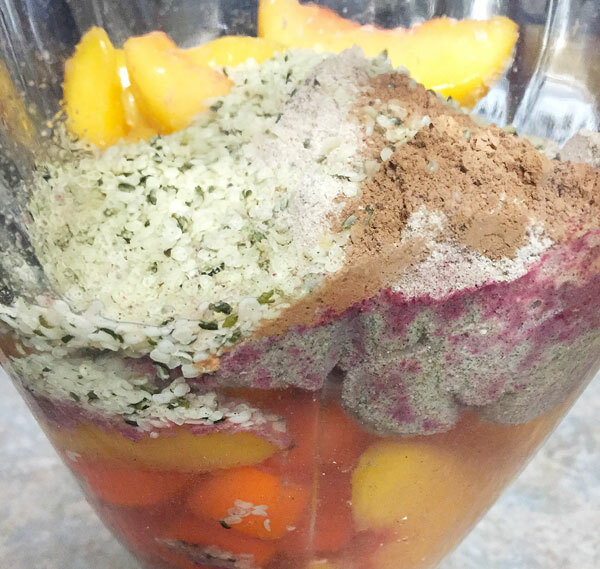 Do you just toss random ingredients in to your blender while in zombie mode and consider it good for you- or do you plan what will taste good and benefit you the most? Sometimes in the morning you don’t feel like thinking creatively. That’s what I am here for! Most people are looking to get more protein in. The answer is in a little superfood seed. 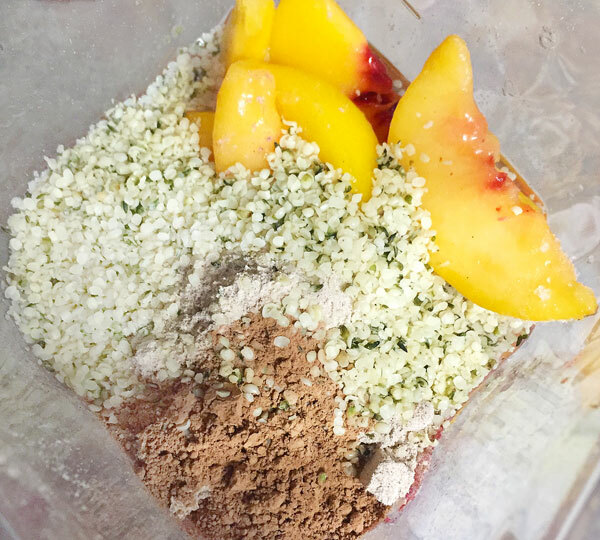 This hemp smoothie is all you need to power up in the morning! I make a smoothie almost every day. If I made the same one over and over again I doubt that would be the case because I would get over it. I am always trying to come up with new recipes, and it’s more than just what might be yummy to drink. It matters what you put in to your body so each ingredient should give you a boost. I used to only make smoothies with fruit, but now I make sure I am always throwing a vegetable in there too! It is a great way to get in an extra serving of plants and also boost your nutrients instead of building up sugar. 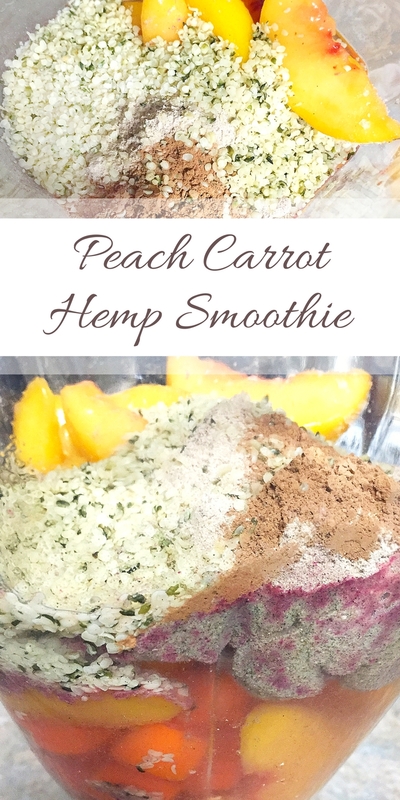 This smoothie combines both peaches and carrots, which is a pair I probably wouldn’t eat together normally. They work wonderfully together in a blend though! Looking for the best source of #protein? #Hemp is your answer! 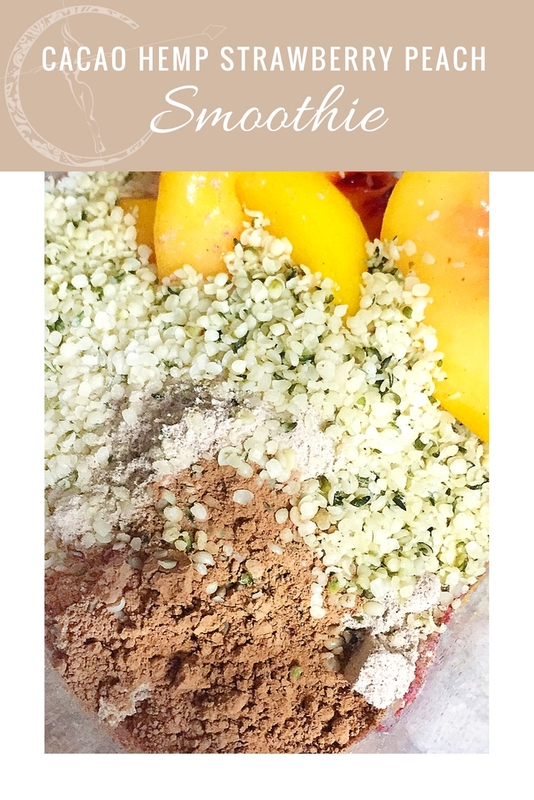 One of my favorite add ins for my smoothies is hemp seeds. They provide a great nutty flavor plus they are a great source of essential fatty acids and fiber. Hemp seeds actually contain more protein than flax or chia seeds do! Consuming hemp can also aid in the repair and growth of lean body mass. Bottom line- get it in your daily diet! I always have hemp seeds on hand, and this is one of my favorite brands! 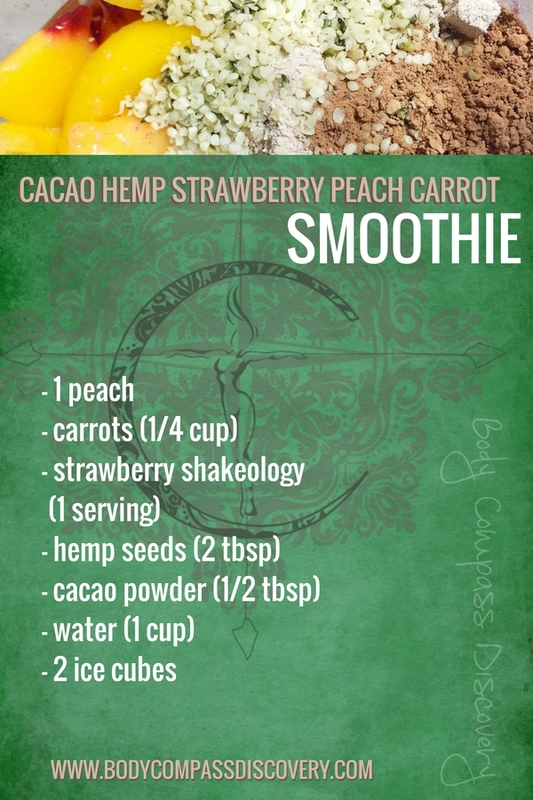 The last addition to this smoothie is cacao powder. Who doesn’t love some chocolate in their life? (Let’s be honest- I really don’t understand those who hate chocolate.) 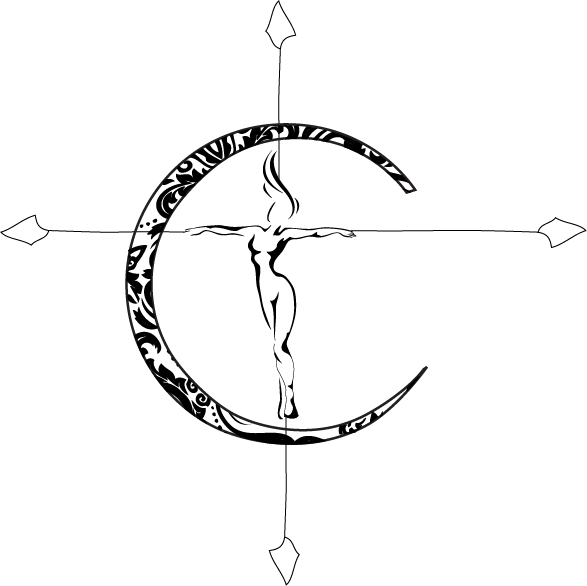 Besides the divine taste, cacao has it’s own secret powers. It’s full of antioxidants, iron and calcium. Time to indulge! What protein powder are you adding in to your smoothies? You can of course use any strawberry flavored protein powder of choice!